Charles Stanley are an investment management company with separate divisions for managed and execution only clients. 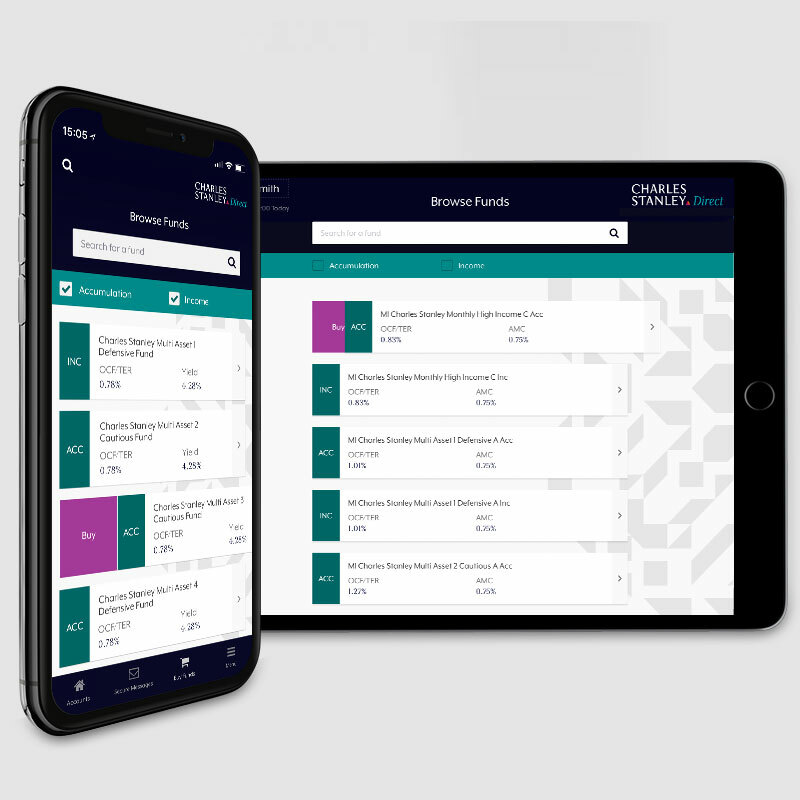 As their in-house UX and graphic designer i was tasked with redesigning the existing Charles Stanley Direct App. 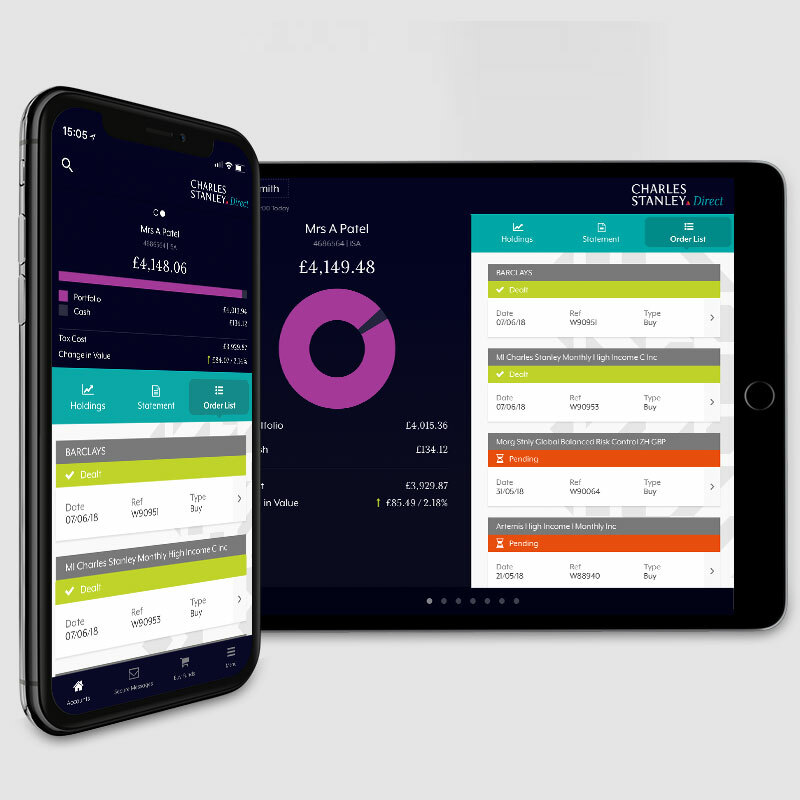 This app is used by execution only clients – these client choose their own investments and use Charles Stanley Direct as a platform to research and place their own trades. For phase one of the app release we concentrated on simplifying the existing functionality. The existing design was overly complicated and lacked a clear visual hierarchy adding complexity to an already data heavy app. 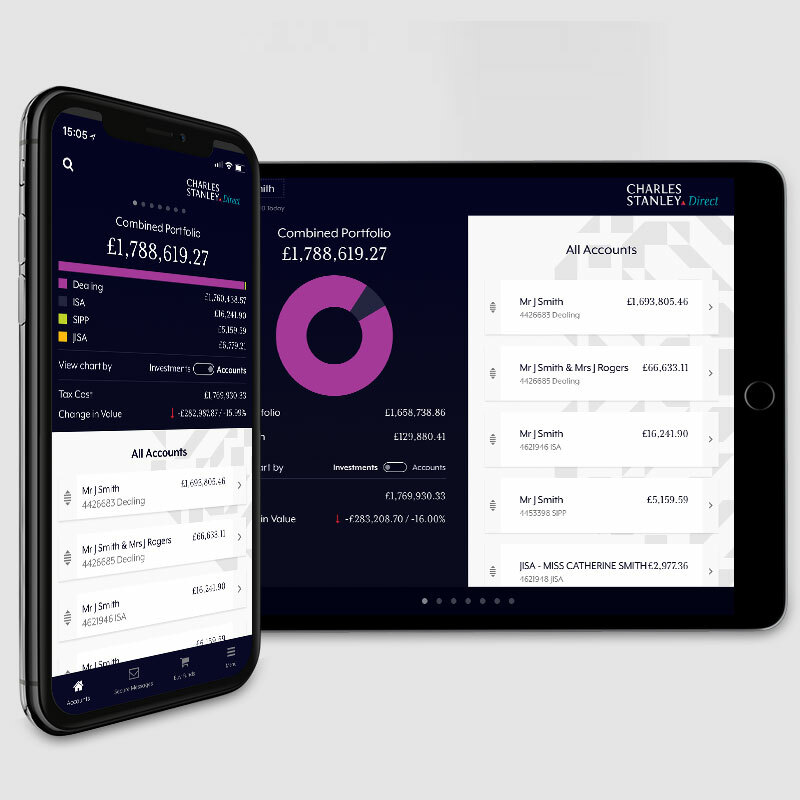 I simplified the user interface and designed a more intuitive user journey – providing an overview of all accounts and a clear route for clients to drill down into their accounts. With a bottom navigation displaying the most used features and all other features available within a toggled menu. For phase one of the app release i created an animated demo, for future releases we went with flat graphics for a quicker turn around. 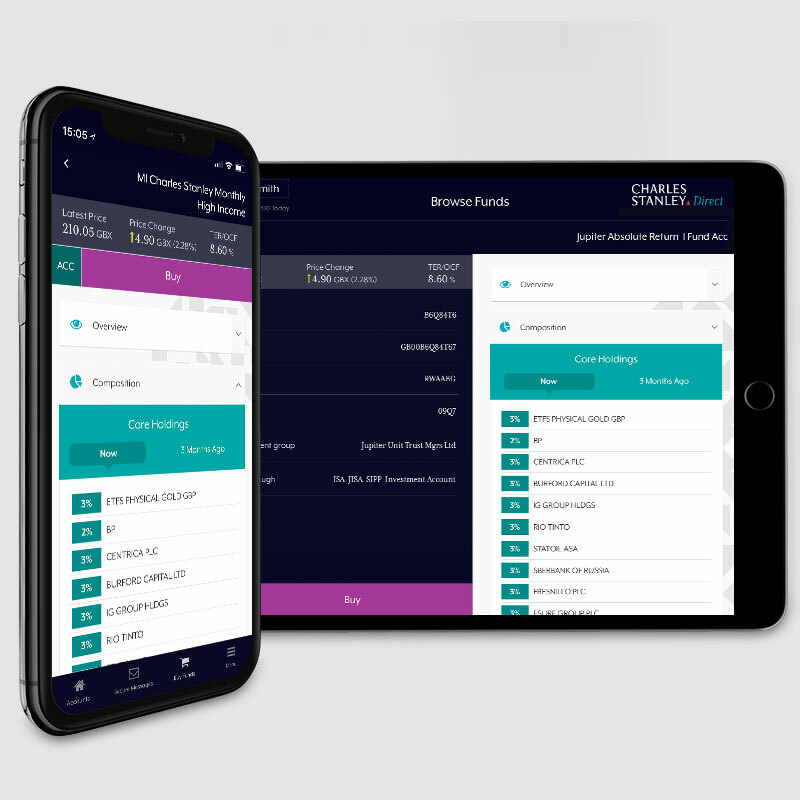 In next phase we added fund trading functionality on the app, previously only available through the desktop website. 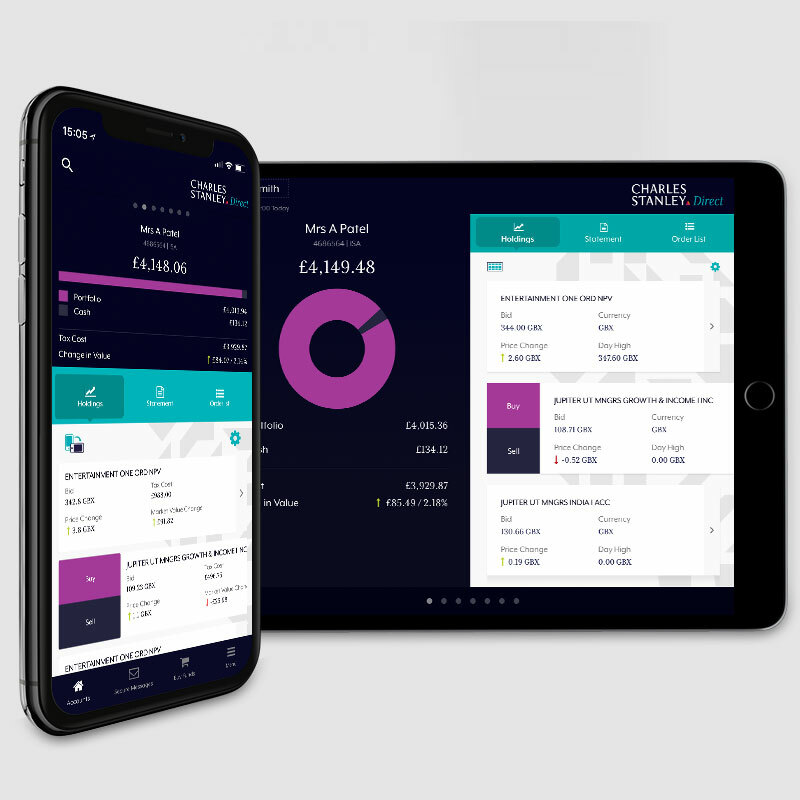 Clients are able to search for funds or buy more of an already held fund directly from their account holdings page.The app was received so well by execution only clients that it was also adopted by the advisory division of the business.